Lovisa Wattman has been active as a designer since her master's degree from Konstfack's Industrial Design in 1995. 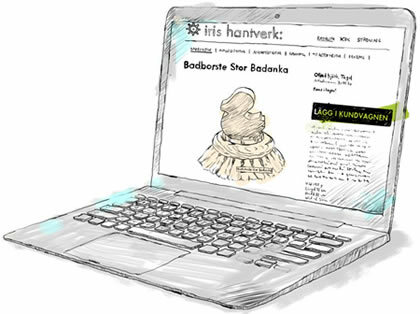 First, as a designer at Höganäs Keramik and BodaNova, and since 1999 as a freelancer. She has been involved in long co-operations with several Swedish companies, including IKEA and Iris Hantverk. The long term is important to the design; both in terms of product function, durability and shape. Lovisa's own approach to consumption is characterized by the fact that the products you choose will last for a long time, and that the form of the product will be appreciated during that whole time. How things are to be used and managed will be the starting point in the design, functions are turned into beautiful form. In the process with the Iris Hantverk range is the challenge to design products with a long lifespan in both material and form.